RABAT, Morocco (AP) — Moroccan government officials say Morocco has stopped taking part in military action with the Saudi-led coalition in Yemen’s war, and has recalled its ambassador to Saudi Arabia. Tensions have been mounting between Morocco and Saudi Arabia amid international concerns about the Yemen war and other issues. 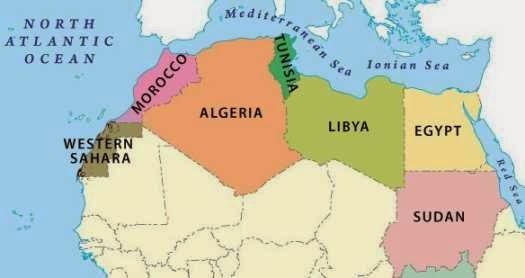 Imagine, Algeria is actually bigger than Mexico.